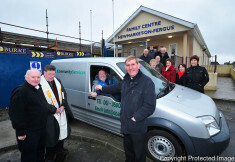 The Meals on Wheels service was implemented in the village 20 years ago by Canon Reuben Butler and the Going Strong Active Retirement Group and has been operating from Cafe Fergus since 2010. The project commenced with supplying 10 meals to local people in the Newmarket on Fergus area and currently supplies over 50 meals per day five days per week in the South Clare area. The service is available to anyone who might not be in a position to cook for themselves due to old age or ill health. These meals are cooked fresh daily at Café Fergus our Community Café. The meals are healthy, varied, nutritious and are cooked to strict HACCP standards. Each person receives a daily hot meal and also a choice of either soup or a dessert. We not only deliver in the Newmarket on Fergus area but with our new extended facilities in Café Fergus we are now delivering to the following areas: Clarecastle, Quin, Doora, Kilkishen Village, Sixmilebridge, Kilmurry and Bunratty. 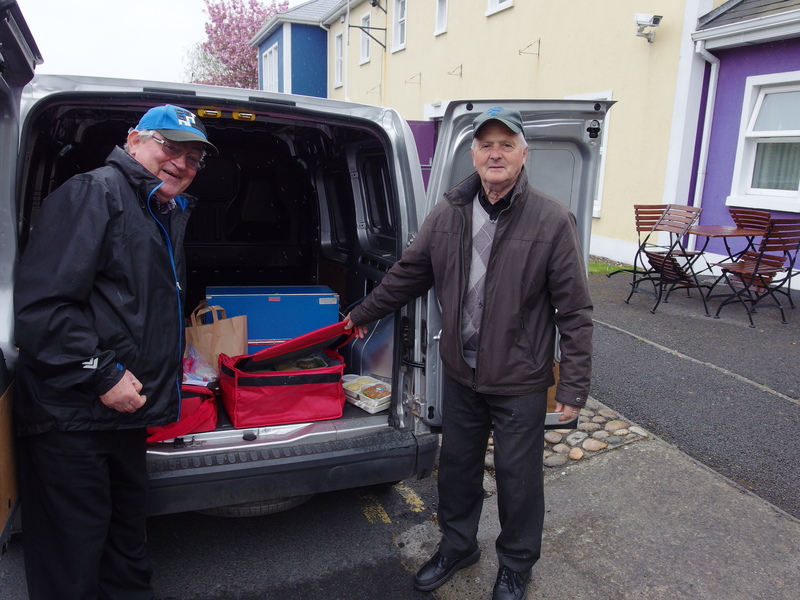 We have a team of volunteers that support the service and offer a friendly face to those availing of the Meals on Wheels. Community Catering is vital to our area and we have seen the benefits it provides down through the years, delivering not only a hot meal but also a chat or a check in. It provides peace of mind for anyone with elderly relatives who might be living a distance away from their families or working full time. This has been an invaluable service to the people of Newmarket on Fergus and we are delighted to have the facilities to extend the service out to other areas. The meals are available to anyone who might not be able to cook for themselves. 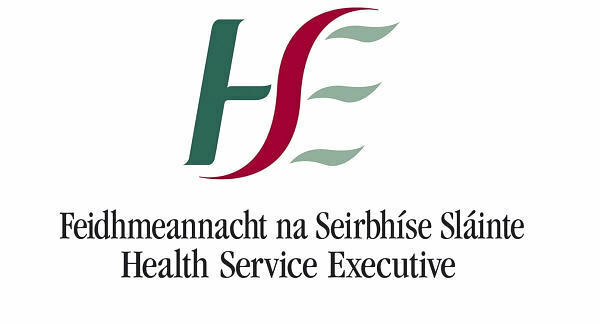 If you or a loved one would like to avail of this service you can contact us at Obair by phone (061) 368030. Alternatively you can call in to us at Café Fergus for a chat. We will give you an application form to fill in some basic details and an emergency contact number. Once this form is returned to us and application is approved you can start using the service. The meals that you receive are cooked fresh at Café Fergus, our Community Café. The meals are healthy, varied, nutritious and are cooked to strict HACCP standards. While we don’t have a set menu our meals are your typical wholesome Irish dinners. We know a lot of people do not eat meat on a Friday and we serve a beautiful fresh fish dish every Friday. If you have any special dietary requirements please let us know and we can cater where possible. We will also provide a list of all possible meals that you will receive as well as the allergen content for each dish. The cost of each meal is €5. Each meal consists of your daily hot dinner as well as either a soup or a desert. You don’t have to commit to having a meal 5 days a week and can pick your days. We can also deliver a meal for you for Saturday, which will be delivered cold on a Friday. We not only deliver in the Newmarket on Fergus area but with our new extended facilities in Café Fergus we now deliver to the following areas: Clarecastle, Quin/Clooney, Doora, Kilkishen Village, Sixmilebridge, Kilmurry and Bunratty. 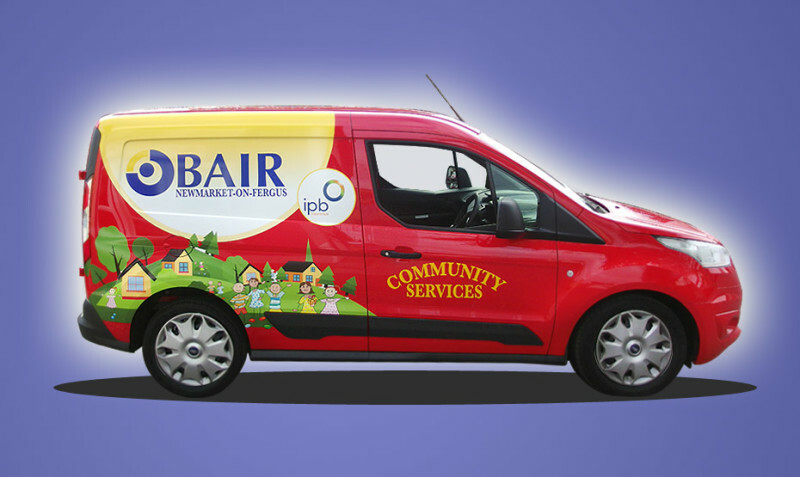 Obairs Community Catering Service relies on the support of a fantastic team of volunteers. If you would like to get involved as a Volunteer you can call us on (061) 368030 or alternatively fill out the application here Volunteer Application Form and email to eimear.murphy@obair.org. Postal Address Obair, Ennis Rd., Newmarket on Fergus, Co. Clare.